Camp for €20,- a night at Ursands Resort & Camping in low season with CampingCard ACSI. 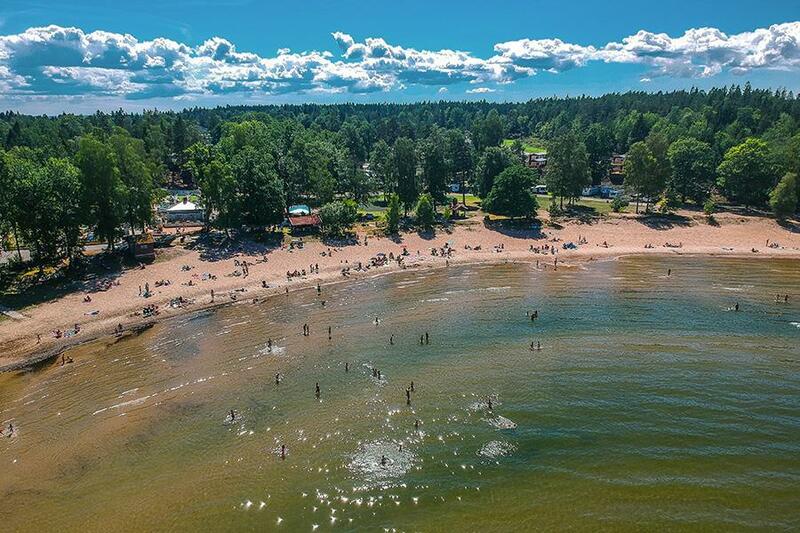 Ursands Resort & Camping, located in Vänersborg (Västra Götaland), is a campsite with 400 touring pitches and 70 year round pitches. With your CampingCard ACSI you can camp on one of the pitches during the following periods: 01-01-2019 - 06-06-2019 and 18-08-2019 - 31-12-2019. Beautiful location on Lake Vänern, the biggest lake in Sweden. Enjoy the large sandy beach. There are countless activities for children. The beautiful surrounding countryside is perfect for jogging, cycling and walking. Restaurant is open from 15/6 to 15/8. Beautiful new outdoor pool (2016). Special hardened pitches for motorhomes. Would you like to book Ursands Resort & Camping or request more information? You can do both using the information below or by visiting the campsite's website. From Vänersborg take route 45 dir. Karlstad. After approx. 3 km follow signs, campsite is clearly indicated. CampingCard ACSI will send your information request to "Ursands Resort & Camping".